We use the term ‘surveillance’ to mean any type of survey or monitoring activity that is undertaken before Argentine ants are discovered in an area. This differs from the term ‘monitoring’, where Argentine ants are known to occur. Often surveillance is considered a less important task compared with actual control, but surveillance is essential in the overall management of any pest, including Argentine ants. 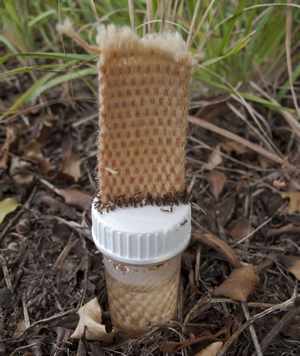 Surveillance is primarily aimed at the prevention of establishment, where the early detection of Argentine ants may allow a greater range of management options, and reduced costs in controlling a smaller infestation. Prevention relies on being proactive. However, surveillance also provides important information on the spread (or not) of a species, and its absence in an area. This information may only become useful many years after surveillance is conducted. For example, models of the potential distribution and habitat use of Argentine ants in New Zealand have relied on specific locality data recorded over many years. Monitoring is primarily aimed at determining the effectiveness of a control and/or eradication operation. One aspect of the biology of the Argentine ant with enormous implications for their control is their limited natural dispersal (see Holway et al. 2002; Silverman & Brightwell 2008). Unlike many ant species, the mated reproductive stages of Argentine ants (i.e. queens) do not disperse by flying. Local-scale dispersal occurs via budding and limits the self-spread of Argentine ants to approximately 150 m per year (Suarez et al. 2001). Consequently, Argentine ants populations are ‘naturally contained’ to ‘small areas’, and through early detection can be more easily controlled/contained. Their spread throughout a region, and between regions, occurs via human-mediated dispersal (Ward et al. 2005). Thus, understanding the pathways of how Argentine ants move around and between regions, and the sources of these ‘incursions’, is key to slowing their spread at regional levels. This limited dispersal also affects their spread at specific sites.